Challenging the perceived value of traditional employee surveys and exit interviews, this guide explores the practical value of the stay interview, a preventive tool in employee retention that proactively addresses potential issues that affect workplace morale and potential loss of staff. Organizations routinely search for clear answers to complex questions regarding how to better retain and engage their best workers. 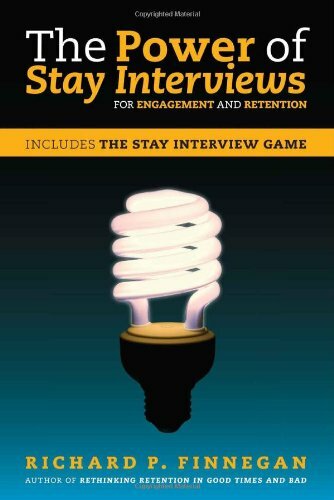 This book directs Human Resources (HR) professionals toward the more effective and less costly solutions of the stay interview by demonstrating their measureable benefit in addressing retention and engagement issues in the workplace. Contending that employee engagement is essential in organizations of any size and bolstered by true stories from companies in which stay interview have been implemented, this book provides solution-oriented help for HR professionals, line managers, and business leaders alike.